Two (2) Alien Coils per container. Handmade by @jboicoils in the USA. Specs: CORE: Three (3) pieces of 28g Twisted Mess..
Two (2) Alien Coils per container. Handmade by @M.Terk in the USA. 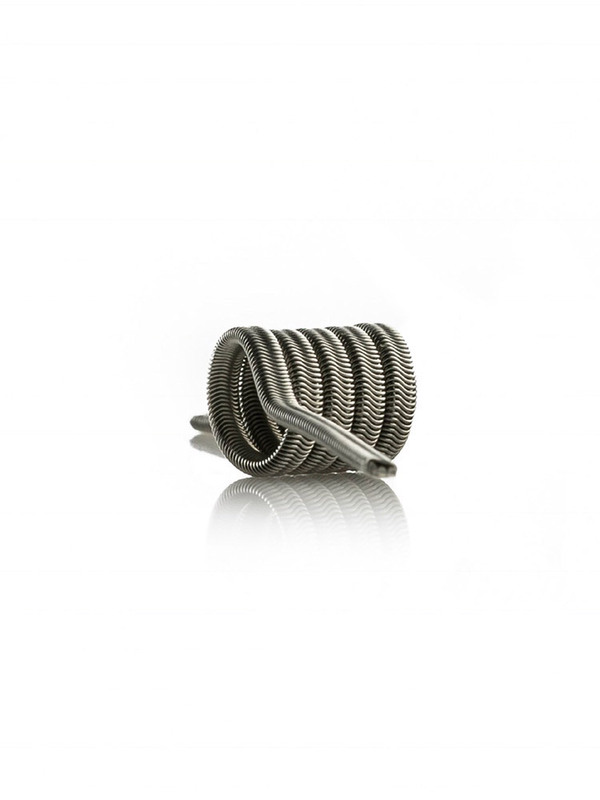 Available in two core wire options. 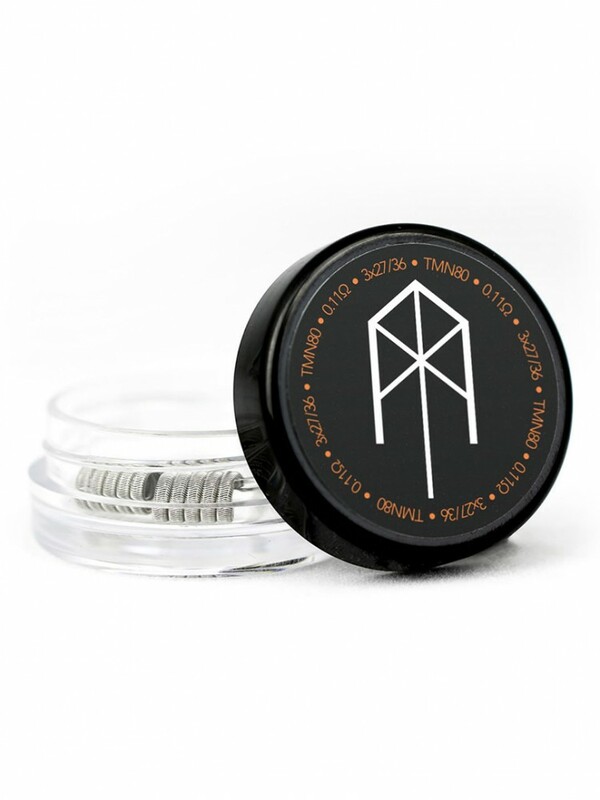 OPTION 1: CORE: Three (3) pieces..
Two (2) Alien Coils per container. Handmade by @squidoode in the USA. Available in two wrap options. 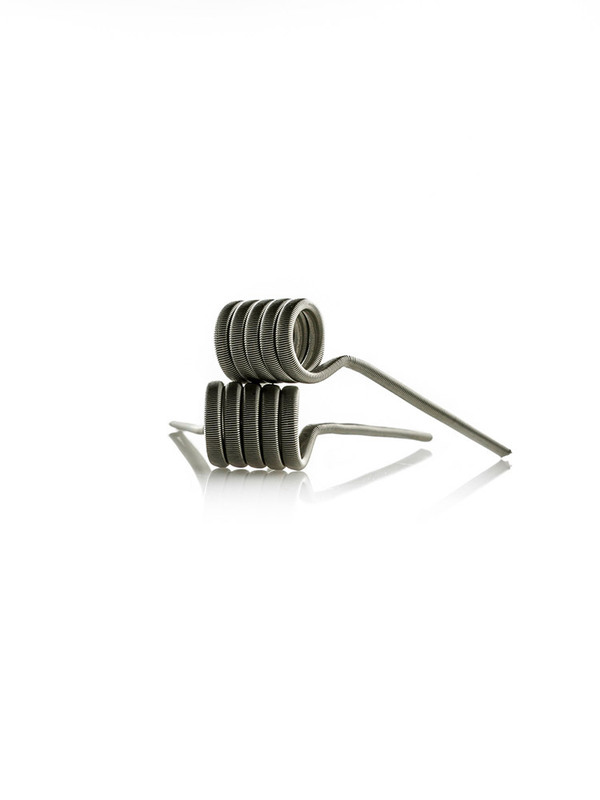 OPTION 1: CORE: Three (3) piece..
Two (2) Alien Framed Staple Coils per container. Handmade by @feenzofficial in the USA. Specs: CORE: Six (6) pieces of .3mm Kidney Puncher Ni..
Two (2) Alien Series Coils per container. Handmade by @jboicoils in the USA. 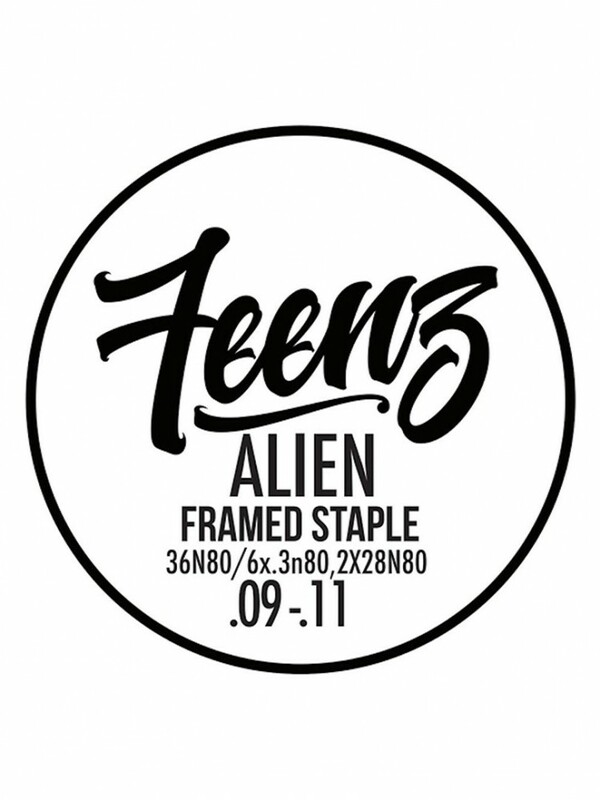 Specs: CORE: Three (3) pieces of 30g Twisted Me..
Two (2) Alien Single Coils per container. Handmade by @jboicoils in the USA.Specs:CORE: Three (3) pieces of 28g Twisted Messes Nichrome..
Two (2) Framed Staple Coils per container. 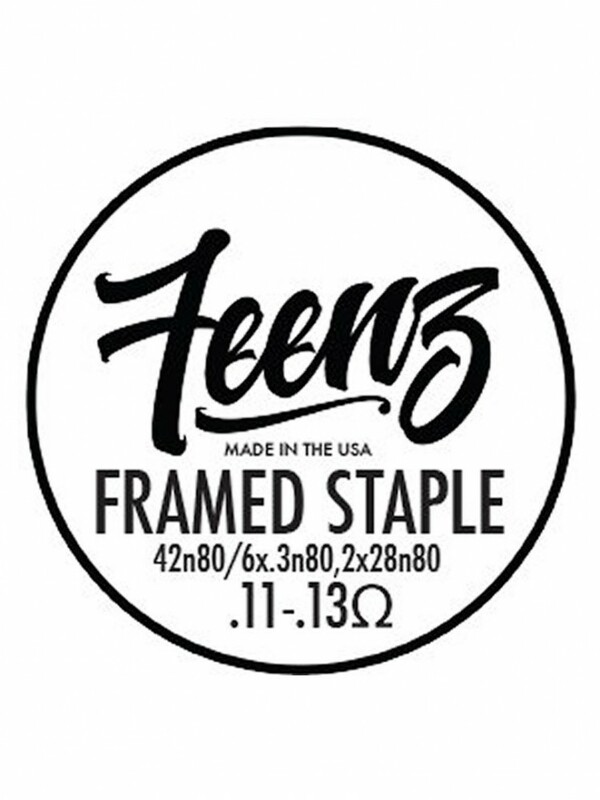 Handmade by @feenzofficial in the USA. 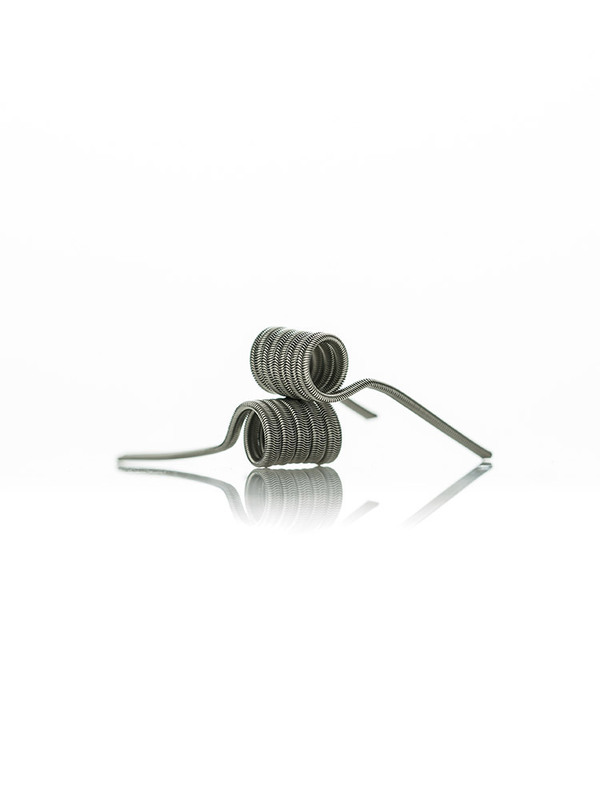 Specs: CORE: Six (6) pieces of vertically stacked .3mm Ki..
Two (2) Framed Staple Coils per container. Handmade by @jboicoils in the USA. (Original coil design from @squidoode).Specs:CORE: Six (6) pieces o..
Two (2) Framed Staple Coils per container. Handmade by @squidoode in the USA. (Original coil design from @squidoode).Specs:CORE: Six (6) pie..
Two (2) Fused Clapton Coils per container. Handmade by @coilturd in the USA. Available in two options. 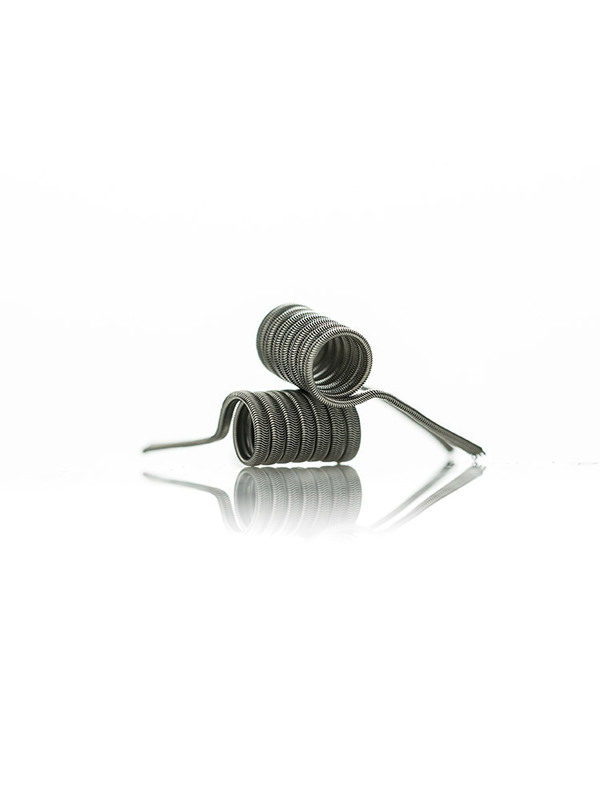 OPTION 1: CORE: Two (2) pie..
Two (2) Fused Clapton Coils per container. 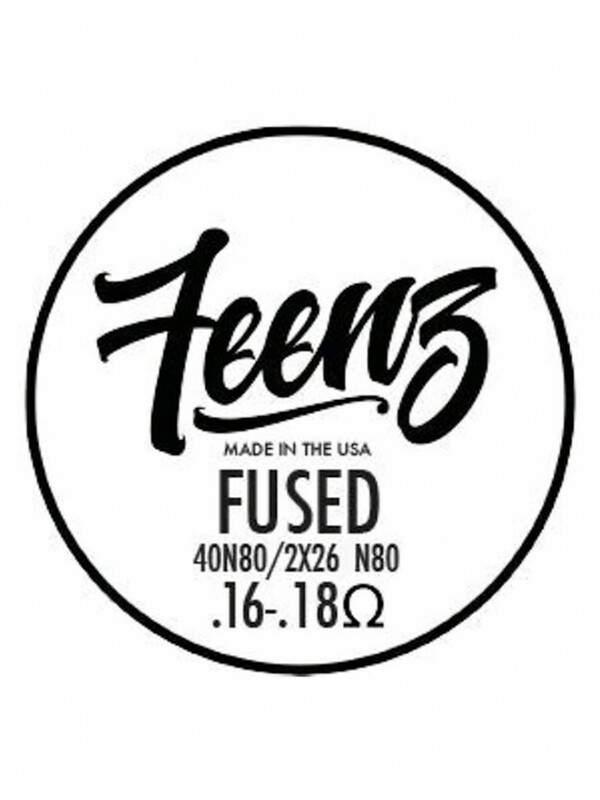 Handmade by @feenzofficial in the USA. Specs: CORE: Two (2) pieces of 26g Anarchist Nichro..
Two (2) Fused Clapton Coils per container. 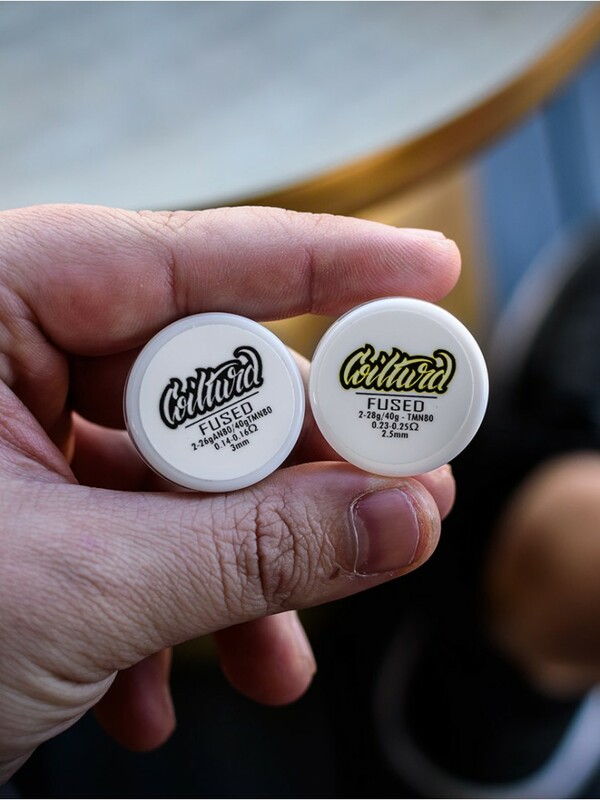 Handmade by @jboicoils in the USA.Specs:CORE: Two (2) pieces of 26g Anarchist Nichrome 80 Competition ..
Two (2) Fused Clapton Coils per container. Handmade by @squidoode in the USA. 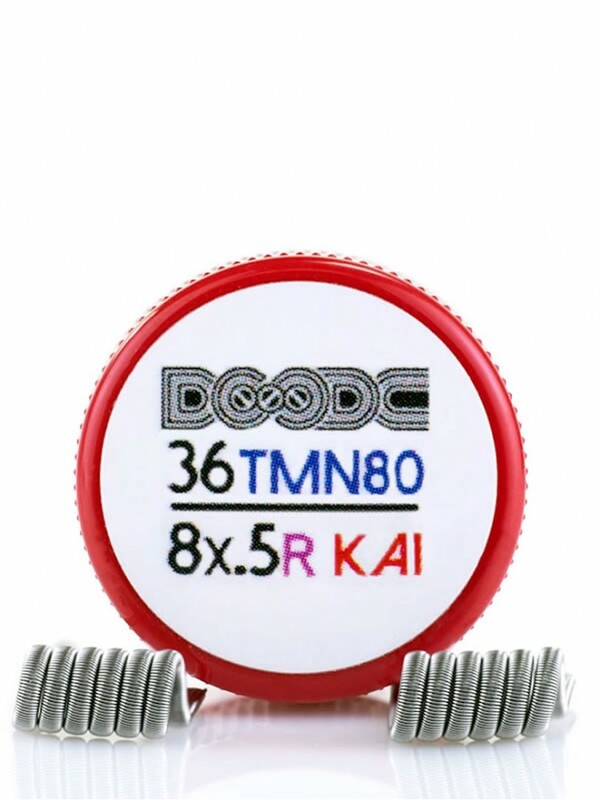 (Original coil design from squidoode). Available in two cor.. 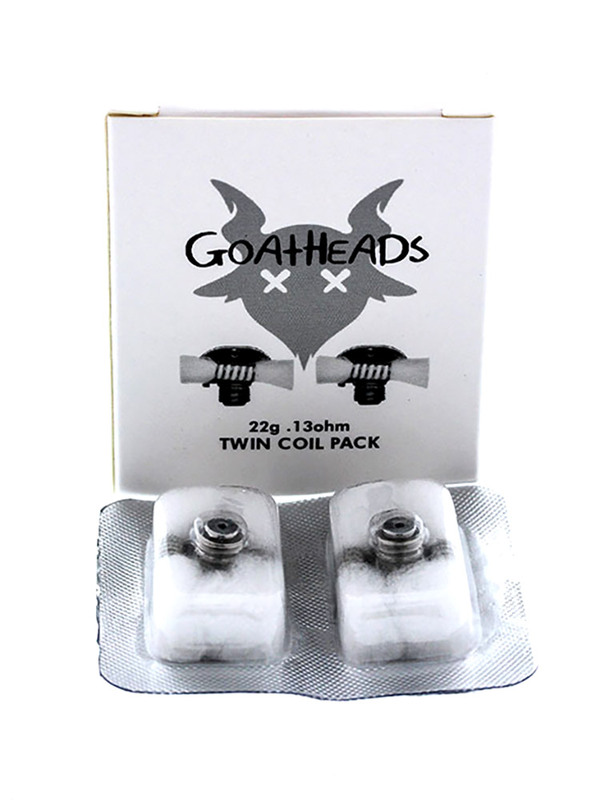 The GOAT Dripper uses a replaceable Dual Coil Head that can be re-wicked. 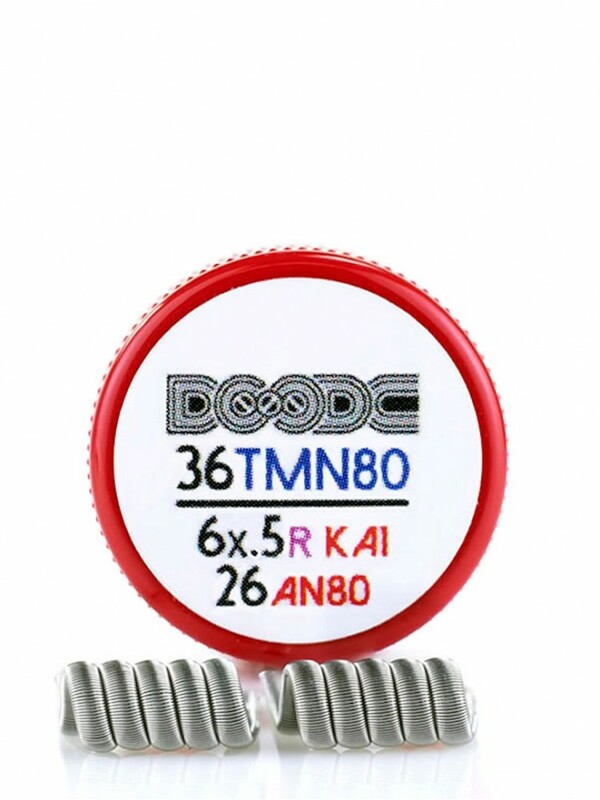 The GOAT Coil Head comes in an option of either 2 x 0.13Ω Anarchist 22g Nich..
High Quality Kanthal A1Resistance Wire.Kanthal A1 is resistance wire composed of 20.5% Chromium, 5.8% Aluminum and an Iron balance. Kanthal A1 is stronger .. 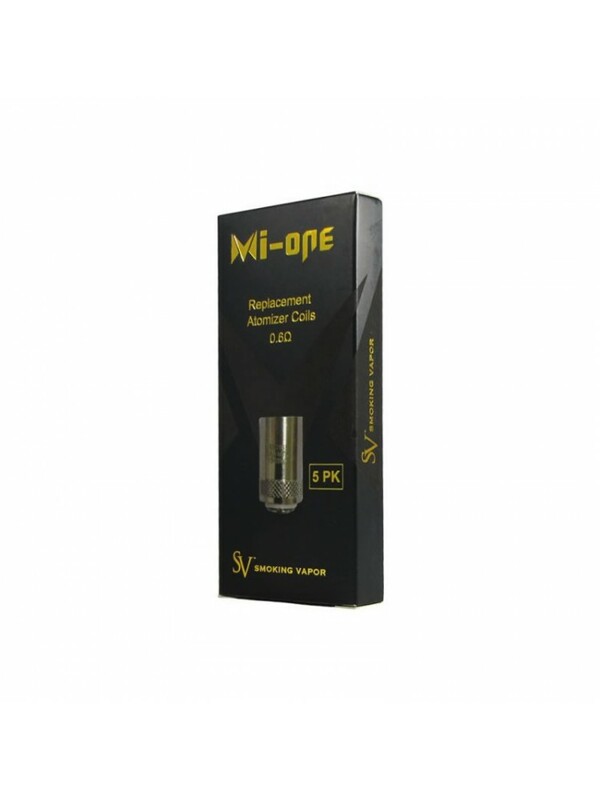 The Mi-one is an ultra portable and impressively powerful all-in-one vaporiser that produces an endlessly satisfying vaping experience. 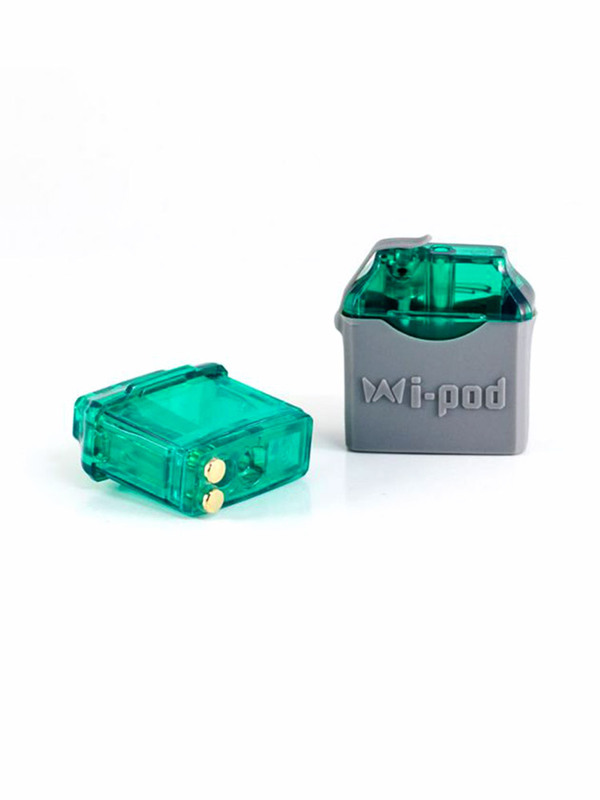 Be sure that your Mi-one..
Be sure that your Mi-pod fires at peak performance with a pack of 2 x MTL refillable pods. 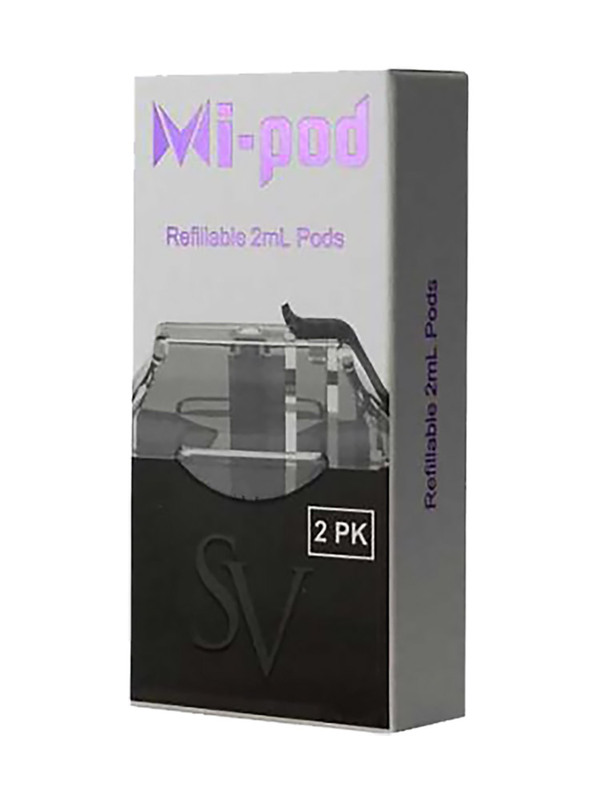 These MTL refillable pods feature Kanthal wrapped internal wire a bot..
Be sure that your Mi-pod fires at peak performance with a pack of 2 x refillable pods. 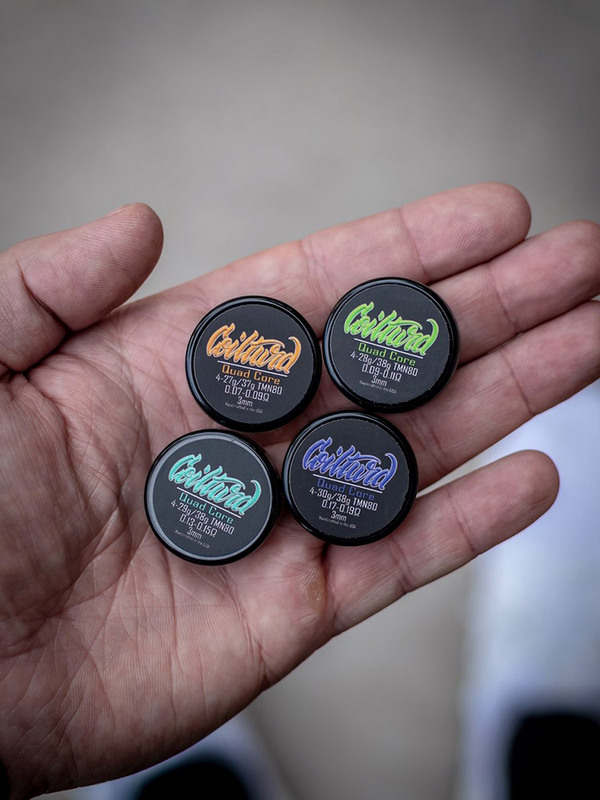 These refillable pods feature Kanthal wrapped internal wire a bottom feed..
Pod Filling Instructions:Pinch the silicone tab and pull gently to remove the tab from the fill port. 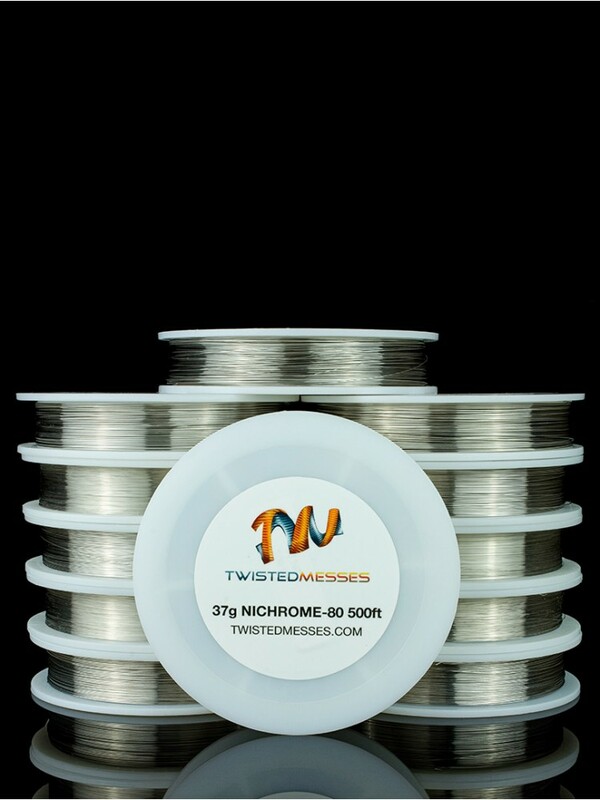 It will stay connected to the pod.Heat a pre-filled syring..
High Quality Nichrome 80 Resistance Wire.Nichrome 80 series resistance wire is composed of 20% Chromium and 80% Nickel. It’s a low resistance wire under normal ..
Two (2) Quad Core Alien Coils per container. Handmade by @coilturd in the USA. 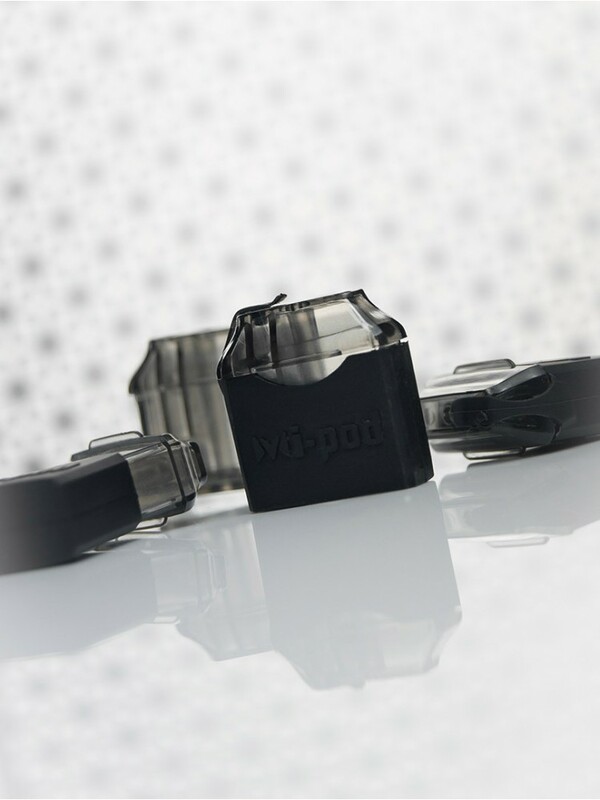 Available in four options.OPTION 1:CORE: Four (4) pieces of 27g&nb..
Two (2) Staple Coils per container. Handmade by @squidoode in the USA. 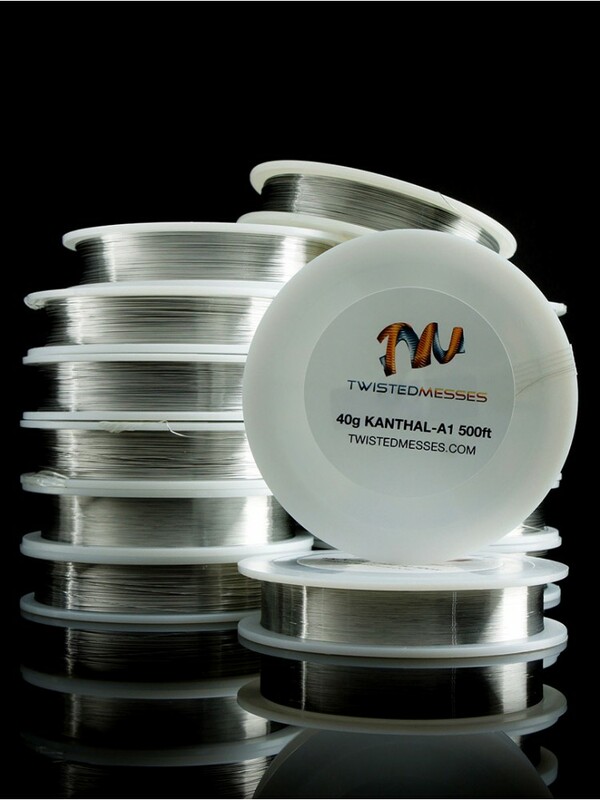 Available in two core wire options. 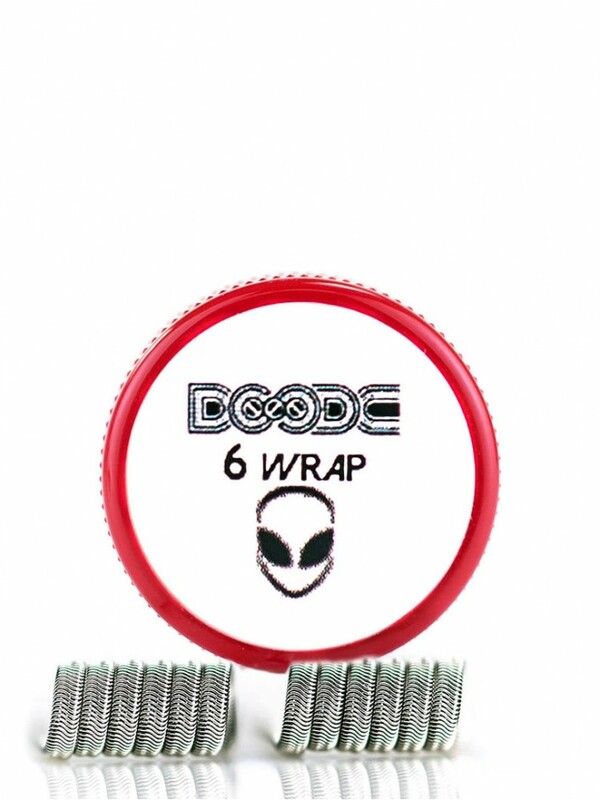 OPTION 1: CORE: Eight (8) pie..
Two (2) Tri-Core Alien Coils per container. Handmade by @coilturd in the USA. 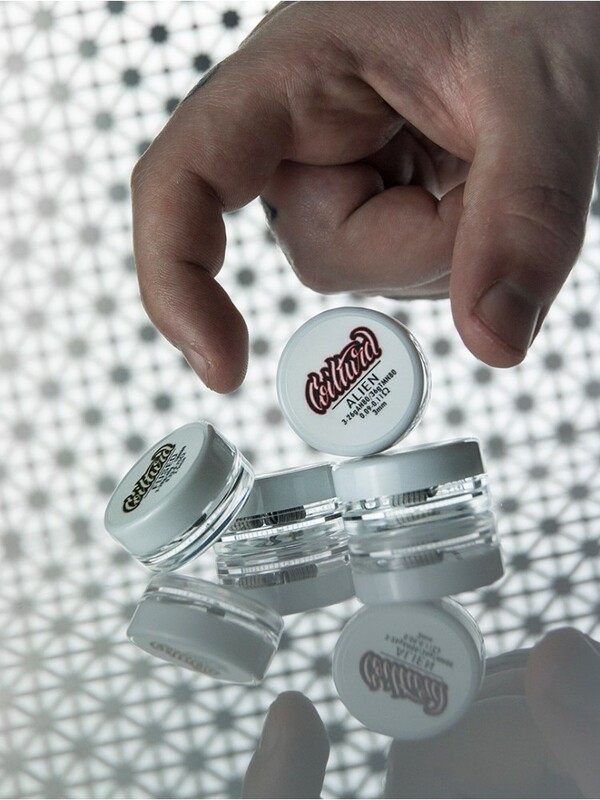 Available in four options.OPTION 1:CORE: Three (3) pieces of 26g An.. 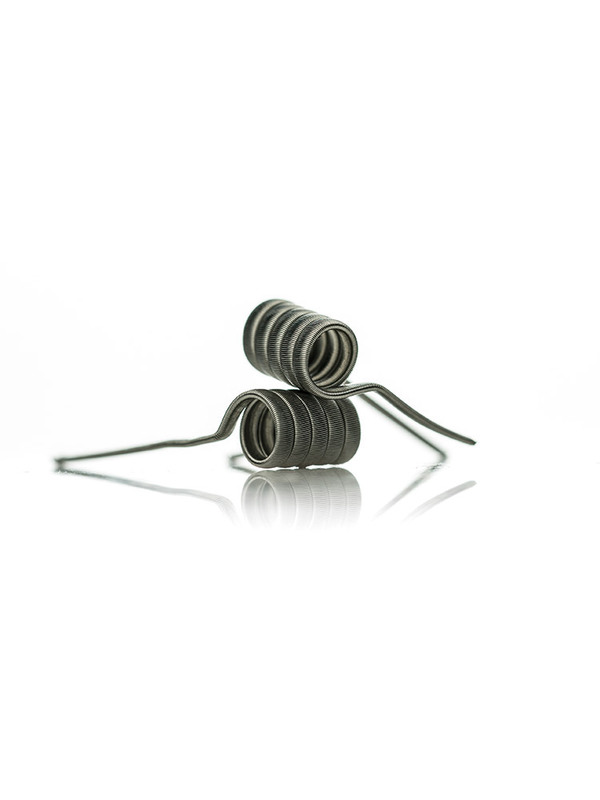 The Wake Coils are intended to provide the purest flavour and the most flavour possible from a tank. 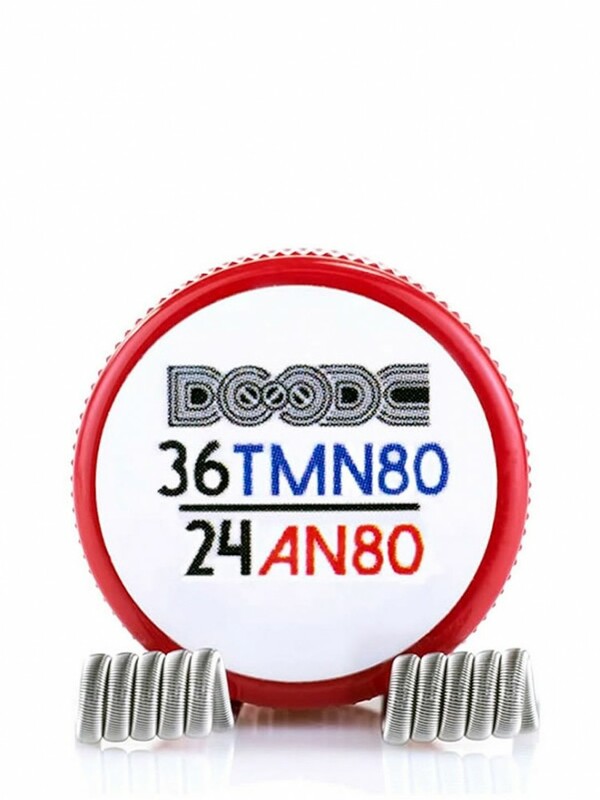 Each coil is wicked with 100% organic cotton and fit the RT..